US Congress won’t let Trump invade Venezuela: Rep. 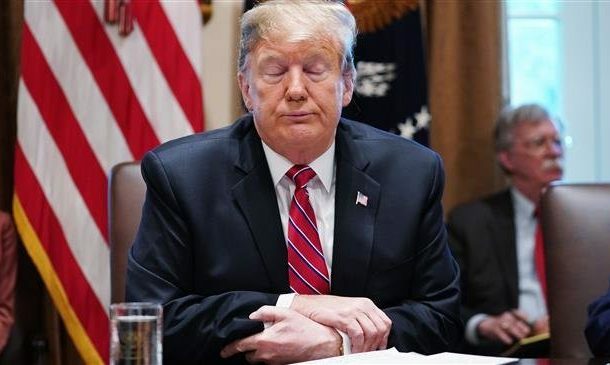 US Democratic lawmakers have made it clear that Congress won’t allow President Donald Trump launch a military intervention in Venezuela, where the US-backed opposition has been challenging the legitimate government of President Nicolas Maduro. “I do worry about the president’s saber rattling, his hints that US military intervention remains an option. I want to make clear to our witnesses and to anyone else watching: US military intervention is not an option,” Engel told a hearing on the Organization of the Petroleum Exporting Countries (OPEC). The clashes began after Juan Guaido, the leader of the country’s National Assembly, proclaimed himself “interim president” and urged Maduro to resign. The US rushed to support Guaido, announcing sanctions on the South American country’s oil industry. Other US officials have also doubled down on the possibility of military action, with National Security Adviser John Bolton going as far as warning the Venezuelan military to join Guaido and take his “amnesty” before they lose the chance. Under US law, Congress must approve foreign military action and the president doesn’t have the power to act on his own. During the hearing on Wednesday, Democrats on the committee also questioned the credibility Trump’s special envoy to Venezuela, Elliott Abrams. Abrams drew angry outbursts from the lawmakers after refusing to rule out the possibility of secret dealings between the US and the Venezuelan opposition, including providing them with weapons. Russia says the US has already made up its mind about launching a possible military invasion of Venezuela in order to carry out regime change. The panel also questioned Trump’s insistence on imposing tough sanctions that could affect people’s lives.